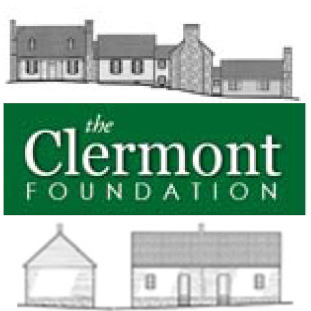 The Word documents, PowerPoints, and PDFs below offer guidance for people or organizations interested in listing a historic individual property or district in the Virginia Landmarks Register and the National Register of Historic Places. Any questions about this material should be directed to Lena McDonald, historian and coordinator with DHR’s Register Program. She can be reached by phone at (804) 482-6439 or by email at lena.mcdonald@dhr.virginia.gov. Listing; and Evaluating a Property for Historic Designation: An overview presentation of the Register programs and DHR’s role in administering them, benefits of Register listing, and a summary of how to evaluate if a property is eligible for the Registers. See a PDF or a PowerPoint. A Brief Sketch of Historic Preservation in America: A timeline of major milestones in the American historic preservation movement. 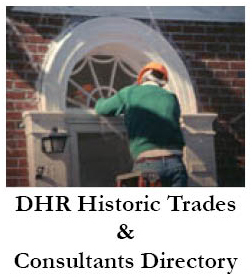 Facts Regarding Designation of National Register Historic Districts by Virginia Department of Historic Resources: A DHR handout that answers some of the most commonly asked questions about Register designation and how historic boundaries are selected. 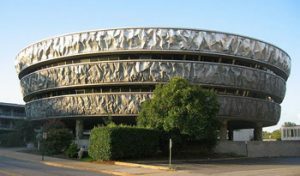 Board Meetings National Register Information: Explains the roles of the Board of Historic Resources and the State Review Board in reviewing and approving nominations to the Virginia Landmarks Register and the National Register of Historic Places. Comparison Chart of Four Types of Historic Districts in Virginia: Provides a simple at-a-glance breakdown of how the four types of historic districts differ from, and are similar to one another. Property Owners’ Frequently Asked Questions about the National Register of Historic Places and the Virginia Landmarks Register. Provides detailed explanations of the questions DHR receives most commonly from owners of property that is listed in or eligible for listing in the Registers. How to Research Your Historic Virginia Property: Extensive guidance for researching all types of historic properties, including specific historic records collections and archival repositories throughout Virginia. Insurance Coverage of Privately Owned Properties in National Register: Listed Historic Districts and Properties Individually Listed in the National Register: Explains the honorary nature of National Register listing and the absence of repair/reconstruction/restoration requirements of historic properties that have suffered damage, including citation of the relevant federal and state laws and regulations. Key Points about the National and State Register Process for Property Owners: The legal and regulatory underpinnings of the National Register of Historic Places and the Virginia Landmarks Register, as well as tax credit availability for listed properties, other results of listing, and the process for objecting to listing. All owners of nominated properties, as well as owners of parcels adjacent to nominated properties, receive this information via U.S. mail prior to a nomination’s approval. Notification and Public Participation Processes for National Register/VLR Nominations in Virginia: Offers a detailed overview of the notification and public participation processes that DHR conducts prior to Register nominations for historic districts and individual properties, as well as links to the federal and state regulatory authority under which DHR works. Plaques for Register-Listed Properties: Lists the vendors that fabricate custom plaques for properties listed in the Virginia Landmarks Register and/or National Register of Historic Places, along with examples of different plaque designs. The National Register/Virginia Landmarks Register Process as Managed by the Virginia Department of Historic Resources: This flowchart provides a step-by-step summary of the process for preparing and submitting a National Register nomination to DHR. Register Nomination Checklist: Nomination authors are required to complete this checklist and submit it along with their nomination to DHR; it provides extensive guidance on how to complete the nomination form and accompanying materials. Explains the requirements for photos that are submitted to accompany nominations to the Virginia Landmarks Register and the National Register of Historic Places, including cameras, digital image format, naming digital files, and other technical specifications. Guidelines for Maps for National Register Submission in Virginia: Outlines the requirements for preparing the two principal types of maps that accompany nominations – location maps and sketch maps – as well as examples of each type of map. Step-by-Step Instructions for Creating Digital Location Maps: Provides step-by-step instructions for creating location maps for Preliminary Information Forms (PIFs) and National Register nominations using DHR’s Virginia Cultural Resources Information System (VCRIS). Guidance for All-Electronic Nomination Submissions in Virginia: Lists the materials required to be submitted with an all-electronic nomination as well as guidance on how to create PDFs, scans, and maps and photographs to accompany the nomination. Technical Guidance and Frequently Asked Questions for Preparing National Register Nominations: Offers guidance on some of the thornier issues associated with preparing nominations, such as understanding the difference between contributing and non-contributing resources, updating nominations to change historic boundaries or to add new information, and using Multiple Property Documentation Forms. Virginia Department of Historic Resources Writing Style Sheet: A writing style sheet, based on the style sheet developed by Susan Foard, copy editor for the 4th edition of the Virginia Landmarks Register, edited by Calder Loth, Senior Architectural Historian with DHR; update adds a number of Virginia idioms and pitfalls one should keep in mind. Inventory Examples for Nominations: Illustrates various ways to format the inventory of contributing and non-contributing resources that must be included in any nomination that has multiple historic resources. Guide to the Essentials for Evaluating and Nominating a Property to the National Register of Historic Places and Virginia Landmarks Register: Summarizes how to evaluate a property’s significance and integrity before preparing a nomination by using the criteria for evaluation and criteria considerations, identifying the area(s), periods, and level of significance, and applying the seven aspects of integrity. National Register Eligibility of Historic Cemeteries: Provides guidance on evaluating, researching, and nominating historic cemeteries to the Virginia Landmarks Register and the National Register of Historic Places; it also includes the National Park Service’s policy statement regarding the national significance of all national cemeteries.